"We're always looking for new stock to meet our customers' specific needs," said Jennifer Taylor, Marketing Manager at Solus Group. "Our latest round of new products will make life a lot easier for scores of warehousing professionals." The new equipment available at www.solugrp.com includes a Forklift Work Platform, Tilt Tables, Cylinder Transport Equipment, and two types of steel material racks. 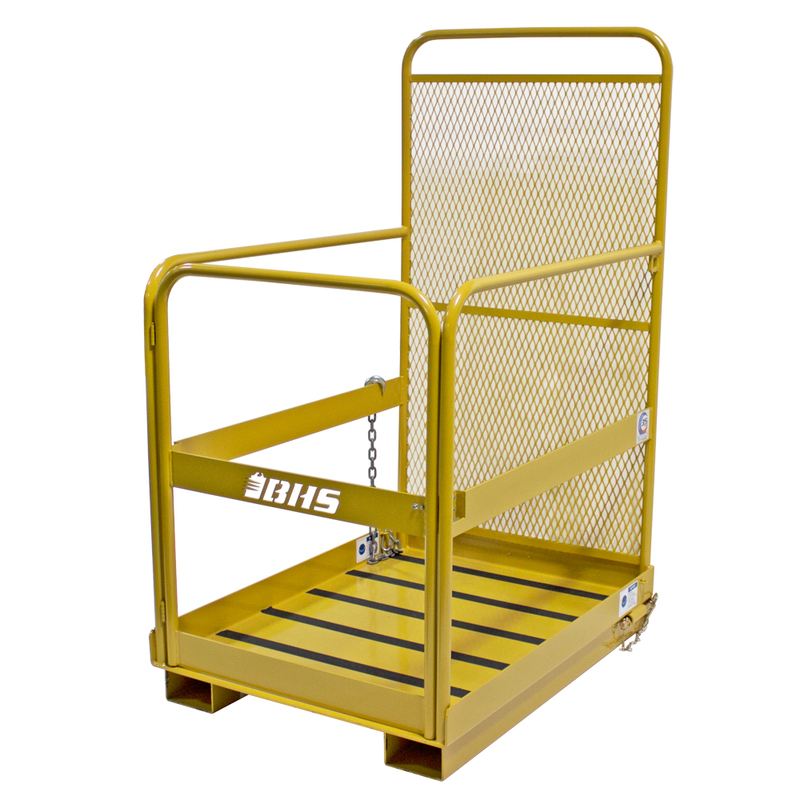 These products will allow buyers to convert industrial trucks into personnel lifts, position work ergonomically, safely handle compressed gas cylinders, and store unwieldy materials easily. All of the new products are manufactured by St. Louis-based Battery Handling Systems, Inc., a top name in the material handling industry. "Our customers tell us they appreciate the durability [of BHS products]," Taylor said. "They make everything out of steel, so their equipment is perfect for industrial settings, which can be pretty rough on gear." Forklift Work Platforms from Solus Group attach firmly to lift truck forks, allowing operators to safely ride to the top of the mast. This is ideal for overhead maintenance tasks — like changing light bulbs, for instance — but it can also grant access to the tops of tall shelving units, Taylor said. "Warehouse managers don't want to buy a whole new vehicle to get their staff safely to the top shelf," Taylor said. "With the Forklift Work Platform, our customers can leverage equipment they already own to get the job done." Tilt Tables are powerful ergonomic tools. They allow employees to position work carefully, avoiding dangerous lifting, bending, and reaching. Customers who handle compressed gas cylinders can now take advantage of a comprehensive range of Cylinder Transport Equipment from Solus Group. Cylinder Transporters allow staff to safely move gas cylinders, via polyurethane casters or with a forklift. The Cylinder Transport Cage is a cylinder cart that encases loads in a strong steel cage with a padlock hasp. Finally, Cylinder Storehouses provide secure storage for gas cylinders at work sites. The online dealer also offers two new storage solutions. Sheet Material Racks provide efficient storage for unwieldy materials like drywall, window glass, and granite slabs. Ground Racks, meanwhile, offer an easy way to store awkward materials such as conduit, tubes, panels, and bagged goods. Fork pockets in Ground Racks allow simple transportation of loads. "We're here to help industry professionals solve common material handling challenges," Taylor said. "These new products address real-world needs, and we're happy to offer them to our customers."